Does FTC Social Media Guidance Provide Clues for Pharma? The pharmaceutical industry has yet to receive specific guidance from the U.S. Food and Drug Administration (FDA) on social media. People are wondering if the Federal Trade Commission (FTC) rule on social media, “.com Disclosures: How to Make Effective Disclosures in Digital Advertising,” on March 12, 2013 will have any impact on the FDA. I suspect it will not, but it is still worthwhile to review the FTC guidance. It would be wonderful if the FDA follows the “one-click rule” but I highly doubt this will happen. 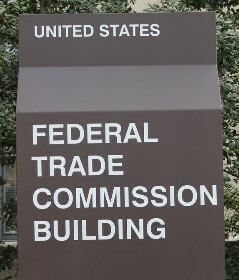 In an example the FTC notes, “Hyperlinks should not be used to communicate disclosures that are an integral part of a claim or inseparable from it, including important health and safety information.” This makes it clear that for health and safety products even the FTC won’t allow a hyperlink . I agree with Arnie Friede in this Pharmalot post that this may be what the FDA chooses to emulate. One area where the FTC does agree with the FDA is that it all comes down to intent. The intent has to be to provide complete and accurate information to consumers, and this is what’s important to pharma marketers. Image courtesy of John Taylor on Flickr (CC BY).